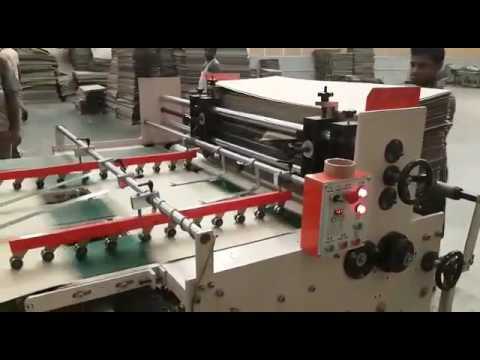 Monu Graphics is one of the leading Manufacturer, Wholesaler and Exporter of machinery for making of Corrugation Machines, Reel Stand, Cutting Machines, Printing Machine, Gluer Machine and much more. The name Monu Graphics today is very popular with the Printing and Corrugated packaging industry, not only in India but also in many other countries. Monu Graphics is in this printing and packaging machinery manufacturing since 2000. Monu Graphics from the day one emphasized to ensure quality products with Zero Error concept, realizing this fact. The growing number of orders and different approaches of each Printer and box maker to solving similar problems.